Maurice de Vlaminck lithograph "Winter Landscape"
Medium: lithograph. This lithograph (after the Vlaminck painting) was printed in Paris in 1958 by the legendary Mourlot atelier, and published by Andre Sauret in an edition of 2000. A nice impression, as can be expected of Mourlot. The image size is 6 1/2 x 8 1/2 inches (163 x 217 mm). The full sheet measures 12 1/4 x 9 1/2 inches (310 x 243 mm). Signed by Vlaminck in the stone (not hand-signed). Abraham Rattner original lithograph "Autumn"
Medium: original lithograph. Published in Paris by Teriade for Verve (Volume 1, Number 3), in 1938. Four artists were commissioned to contribute compositions on the four seasons, with Rattner choosing Autumn. Size: 14 x 10 1/4 inches (sheet). Signed in the plate (not by hand). Medium: original lithograph. Executed for the back cover of Derriere le Miroir (no. 185) in 1970, and published in Paris by Maeght. Sheet size: 15 x 11 inches. Not signed. Medium: original lithograph. Executed in 1979 and published in an edition of 1000. Size: 10 x 7 1/2 inches (255 x 188 mm). This original Vladimir Velickovic lithograph is from the scarce and lavishly-produced limited edition catalogue published in 1979 by the atelier Poligrafa of Barcelona, in conjunction with the prestigious Redfern Gallery of London. The project was done in homage to the earlier Redfern catalogues of the 1960's (which are now very rare) and with the same excellent technical quality. Not signed. Medium: original serigraph. Issued in 1975 for XXe Siecle (issue No. 44), published in Paris by San Lazzaro. Sheet size 12 1/4 x 18 1/2 inches (310 x 505 mm); with center fold, as issued. Not signed. Medium: lithograph. This lithograph (after the Vlaminck painting) was printed in Paris in 1958 by the legendary Mourlot atelier, and published by Andre Sauret in an edition of 2000. A nice impression, as can be expected of Mourlot. The image size is 9 x 6 1/2 inches (230 x 166 mm). The full sheet measures 12 1/4 x 9 1/2 inches (310 x 243 mm). Signed by Vlaminck in the stone (not hand-signed). Medium: lithograph. This lithograph (after the Vlaminck painting) was printed in Paris in 1958 by the legendary Mourlot atelier, and published by Andre Sauret in an edition of 2000. A nice impression, as can be expected of Mourlot. The image size is 7 3/8 x 9 1/2 inches (186 x 240 mm). The full sheet measures 9 1/2 x 12 1/4 inches (243 x 310 mm). Signed by Vlaminck in the stone (not hand-signed). Medium: lithograph. This lithograph (after the Vlaminck painting) was printed in Paris in 1958 by the legendary Mourlot atelier, and published by Andre Sauret in an edition of 2000. A nice impression, as can be expected of Mourlot. The image size is 7 x 9 3/8 inches (180 x 240 mm). The full sheet measures 9 1/2 x 12 1/4 inches (243 x 310 mm). Signed by Vlaminck in the stone (not hand-signed). Medium: lithograph. This lithograph (after the Vlaminck painting) was printed in Paris in 1958 by the legendary Mourlot atelier, and published by Andre Sauret in an edition of 2000. A nice impression, as can be expected of Mourlot. The image size is 7 x 9 1/2 inches (180 x 240 mm). The full sheet measures 9 1/2 x 12 1/4 inches (243 x 310 mm). Signed by Vlaminck in the stone (not hand-signed). Medium: lithograph. This lithograph (after the Vlaminck painting) was printed in Paris in 1958 by the legendary Mourlot atelier, and published by Andre Sauret in an edition of 2000. A nice impression, as can be expected of Mourlot. The image size is 7 x 9 1/2 inches (180 x 243 mm). The full sheet measures 9 1/2 x 12 1/4 inches (243 x 310 mm). Signed by Vlaminck in the stone (not hand-signed). Medium: lithograph. This lithograph (after the Vlaminck painting) was printed in Paris in 1958 by the legendary Mourlot atelier, and published by Andre Sauret in an edition of 2000. A nice impression, as can be expected of Mourlot. The image size is 7 x 9 1/2 inches (180 x 242 mm). The full sheet measures 9 1/2 x 12 1/4 inches (243 x 310 mm). Signed by Vlaminck in the stone (not hand-signed). Maurice de Vlaminck lithograph "Flowers in a Stoneware Jug"
Medium: lithograph. This lithograph (after the Vlaminck painting) was printed in Paris in 1958 by the legendary Mourlot atelier, and published by Andre Sauret in an edition of 2000. A nice impression, as can be expected of Mourlot. The image size is 9 1/2 x 6 1/2 inches (240 x 165 mm). The full sheet measures 12 1/4 x 9 1/2 inches (310 x 243 mm). Signed by Vlaminck in the stone (not hand-signed). Maurice de Vlaminck lithograph "Haute-Folie"
Medium: lithograph. This lithograph (after the Vlaminck painting) was printed in Paris in 1958 by the legendary Mourlot atelier, and published by Andre Sauret in an edition of 2000. A nice impression, as can be expected of Mourlot. The image size is 7 3/4 x 9 1/2 inches (240 x 200 mm). The full sheet measures 9 1/2 x 12 1/4 inches (243 x 310 mm). Signed by Vlaminck in the stone (not hand-signed). Maurice de Vlaminck lithograph "Lime Trees under Snow"
Medium: lithograph. 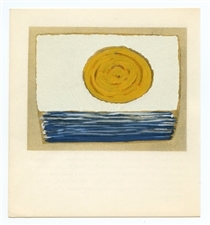 This lithograph (after the Vlaminck painting) was printed in Paris in 1958 by the legendary Mourlot atelier, and published by Andre Sauret in an edition of 2000. A nice impression, as can be expected of Mourlot. The image size is 7 3/4 x 9 1/2 inches (200 x 240 mm). The full sheet measures 9 1/2 x 12 1/4 inches (243 x 310 mm). Signed by Vlaminck in the stone (not hand-signed). Maurice de Vlaminck lithograph "Madeleine"
Medium: lithograph. This lithograph (after the Vlaminck painting) was printed in Paris in 1958 by the legendary Mourlot atelier, and published by Andre Sauret in an edition of 2000. A nice impression, as can be expected of Mourlot. The image size is 8 5/8 x 7 inches (220 x 183 mm). The full sheet measures 12 1/4 x 9 1/2 inches (310 x 243 mm). Signed by Vlaminck in the stone (not hand-signed). Maurice de Vlaminck original lithograph "Les Challonges"
Medium: original lithograph. Printed in Paris in 1958 by the legendary Mourlot atelier, and published by Andre Sauret in an edition of 2000. Size: 9 1/2 x 12 1/4 inches (total sheet). Signed in the stone (not by hand). Maurice de Vlaminck original lithograph "Potiniere at Rueil"
Maurice de Vlaminck original lithograph "Valley of the Avre"
Maurice de Vlaminck original lithograph "Houses in Beauce"
Maurice de Vlaminck lithograph "A Village in Sarthe"
Medium: lithograph. This lithograph (after the Vlaminck painting) was printed in Paris in 1958 by the legendary Mourlot atelier, and published by Andre Sauret in an edition of 2000. A nice impression, as can be expected of Mourlot. The image size is 7 1/2 x 9 inches (190 x 230 mm). The full sheet measures 9 1/2 x 12 1/4 inches (243 x 310 mm). Signed by Vlaminck in the stone (not hand-signed). Medium: lithograph. This lithograph (after the Vlaminck painting) was printed in Paris in 1958 by the legendary Mourlot atelier, and published by Andre Sauret in an edition of 2000. A nice impression, as can be expected of Mourlot. The image size is 7 x 9 1/2 inches (175 x 238 mm). The full sheet measures 9 1/2 x 12 1/4 inches (243 x 310 mm). Signed by Vlaminck in the stone (not hand-signed). Medium: lithograph. This lithograph (after the Vlaminck painting) was printed in Paris in 1958 by the legendary Mourlot atelier, and published by Andre Sauret in an edition of 2000. A nice impression, as can be expected of Mourlot. The image size is 7 x 9 1/2 inches (177 x 240 mm). The full sheet measures 9 1/2 x 12 1/4 inches (243 x 310 mm). Signed by Vlaminck in the stone (not hand-signed). Auguste Rodin "Venus de Milo"
Medium: offset lithograph (after the Rodin watercolor). Issued in a limited edition of 2500 in 1945 by the Musée Rodin, and printed on Vélin de Lana paper. The total sheet measures 9 1/2 x 7 1/4 inches (242 x 185 mm). Signed in the plate (not by hand). Medium: offset lithograph (after the painting) for Georges Rouault's "Stella Vespertina" portfolio. Published in Paris in 1947 by Rene Drouin and beautifully printed by Draeger Freres in an edition of 2000 on Marais paper. The image measures 12 x 7 3/4 inches; and has been tipped (lightly mounted) by the publisher onto a larger support sheet of gray vellum paper. Not signed. Medium: offset lithograph (after the painting) for Georges Rouault's "Stella Vespertina" portfolio. Published in Paris in 1947 by Rene Drouin and beautifully printed by Draeger Freres in an edition of 2000 on Marais paper. The image measures 11 x 9 inches; and has been tipped (lightly mounted) by the publisher onto a larger support sheet of gray vellum paper. Signed by Rouault in the plate (not by hand). The English translation of the title is "Jacob's Well". Medium: offset lithograph (after the painting) for Georges Rouault's "Stella Vespertina" portfolio. Published in Paris in 1947 by Rene Drouin and beautifully printed by Draeger Freres in an edition of 2000 on Marais paper. The image measures 7 1/2 x 12 inches; and has been tipped (lightly mounted) by the publisher onto a larger support sheet of gray vellum paper. Signed by Rouault in the plate (not by hand). The English translation of the title is "Sunset". Medium: offset lithograph (after the painting) for Georges Rouault's "Stella Vespertina" portfolio. Published in Paris in 1947 by Rene Drouin and beautifully printed by Draeger Freres in an edition of 2000 on Marais paper. The image measures 9 x 12 inches; and has been tipped (lightly mounted) by the publisher onto a larger support sheet of gray vellum paper. Signed by Rouault in the plate (not by hand). The English translation of the title is "Moonlight". Medium: offset lithograph (after the painting) for Georges Rouault's "Stella Vespertina" portfolio. Published in Paris in 1947 by Rene Drouin and beautifully printed by Draeger Freres in an edition of 2000 on Marais paper. 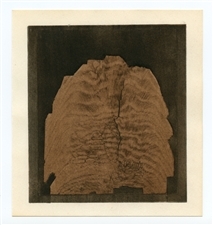 The image measures 9 1/4 x 11 1/2 inches; and has been tipped (lightly mounted) by the publisher onto a larger support sheet of gray vellum paper. Signed by Rouault in the plate (not by hand). Medium: offset lithograph (after the painting) for Georges Rouault's "Stella Vespertina" portfolio. Published in Paris in 1947 by Rene Drouin and beautifully printed by Draeger Freres in an edition of 2000 on Marais paper. The image measures 9 x 11 3/4 inches; and has been tipped (lightly mounted) by the publisher onto a larger support sheet of gray vellum paper. Signed by Rouault in the plate (not by hand). Victor Vasarely pochoir "Soleil-Sauzon I"
Medium: pochoir (after the painting). Printed by the atelier of Daniel Jacomet and issued in 1962 by Le Point Cardinal Gallery for a scarce exhibition catalogue. The image measures 3 x 4 inches (76 x 100 mm); issued with text on verso. Not signed. Medium: pochoir (after the 1948 ink drawing on wood). Printed by the atelier of Daniel Jacomet and issued in 1962 by Le Point Cardinal Gallery for a scarce exhibition catalogue. The image measures 4 1/4 x 4 inches (110 x 100 mm); issued with another image on verso. Not signed. Medium: lithograph. This lithograph (after the Vlaminck painting) was printed in Paris in 1958 by the legendary Mourlot atelier, and published by Andre Sauret in an edition of 2000. A nice impression, as can be expected of Mourlot. The image size is 7 3/4 x 9 1/2 inches (195 x 245 mm). The full sheet measures 9 1/2 x 12 1/4 inches (243 x 310 mm). Signed by Vlaminck in the stone (not hand-signed).